This is found on the website of Shaun Wilcock. I do not know Shaun Wilcock personally but he is well thought of by many who are knowledgeable about Biblical matters. He is advertising a number of interesting books on his website. 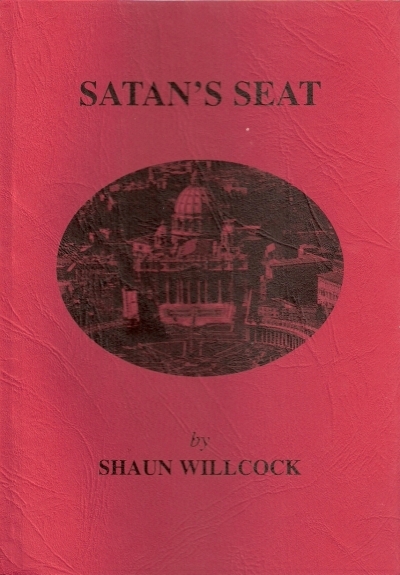 Sadly, I have to say, Shaun Wilcock is a lot more Biblically literate than most “Ulster Protestants” you are likely to come across today. There are fewer and fewer “Protestant preachers” in N.Ireland who are willing to speak out about the Babylonian RCC and you will find even less in other parts of the world. Shaun has just denounced the loony, greedy, heretical, apostate Kenneth Copeland. Copeland has lately been praising the Antichrist and the RCC, a video clip of him engaging in this evil enterprise was on the internet last week or the week before. Here is a link to Shaun Wilcock`s article about Crazy Copeland. If you think any of the characters in the video below are “Christians” it is certain you are well and truly and possibly irretrievably deceived. They all love the Antichrist and they are all secretly controlled by the Vatican.